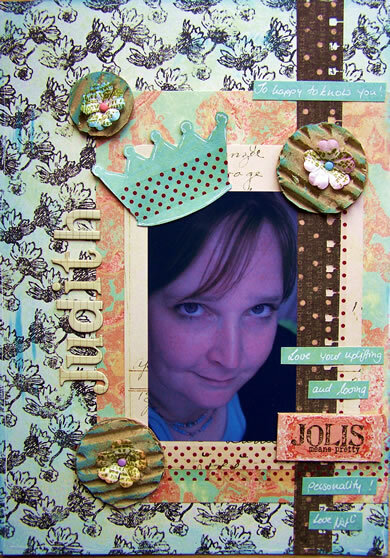 Supplies: IOD Prima Collection, Prima flowers, Prima Tape, Currogated Cardboard, Heidi Swapp Chipboard Letters. Ich wÃƒÆ’Ã‚Â¼nsche Euch ein wunderschÃƒÆ’Ã‚Â¶nes Wochenende! Wie schÃƒÆ’Ã‚Â¶n! Ich mag das zarte MintgrÃƒÆ’Ã‚Â¼n hier sehr. Such a sweet LO, I’m sure she loves it!! Hi Nat, thanks again :) for these sweet words!! I totally love this gorgeous present!! I am really glad I got to know you through this “crazy” hobby! :) I can’t wait to see the LO in real life. wunderschÃƒÆ’Ã‚Â¶n und eine tolle idee ! I love the layout, I would be honored to receive a gift like that. Have a nice saturday my darling! Cute, cute, cute. 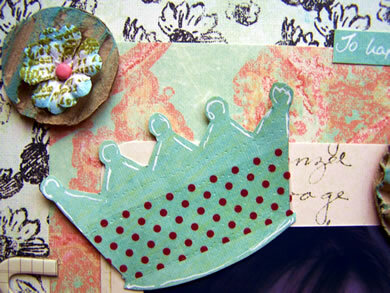 Love the Prima papers. And any LO by you would be a fab gift.